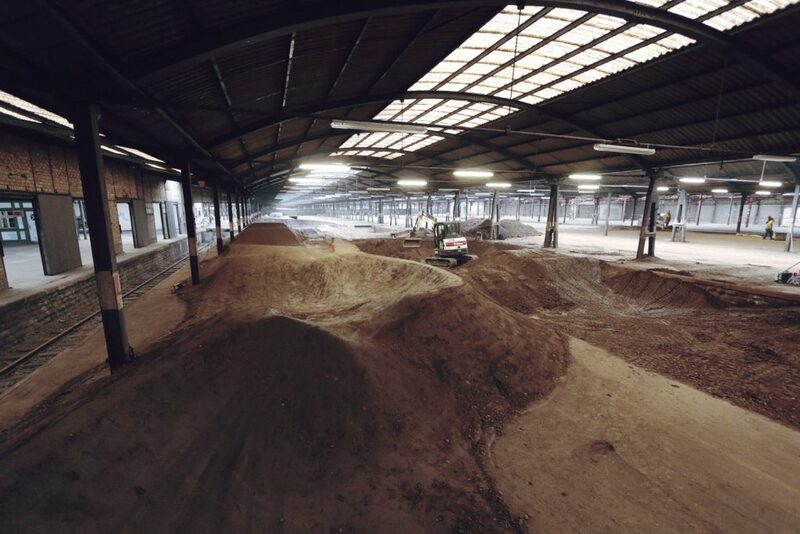 Development of an old former train station The largest indoor asphalt pumptrack in the world at "STRIDE" and how to transform a disused warehouse into a dream location ! 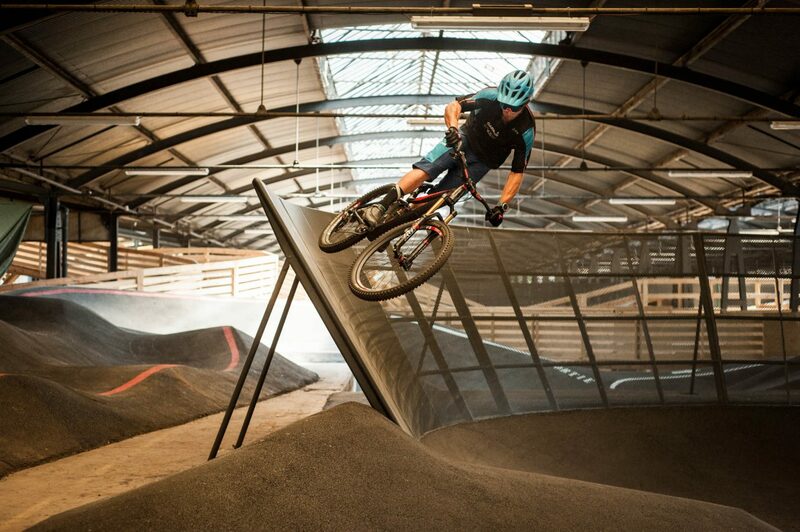 The Stride Indoor Bike Park opened its doors in 2016. 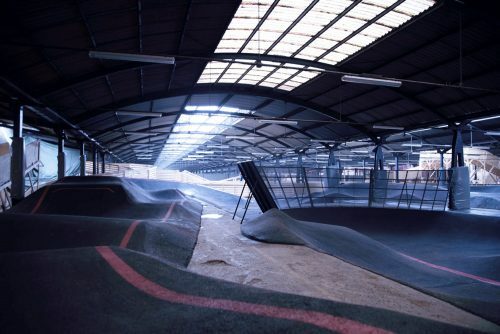 It is the largest indoor Bike Park in France! An abandoned old freight train station, with its red-brick walls, beams and metal arches, its two railway lines, skylights… and its size! These physical features that should have been restrictive have become assets. 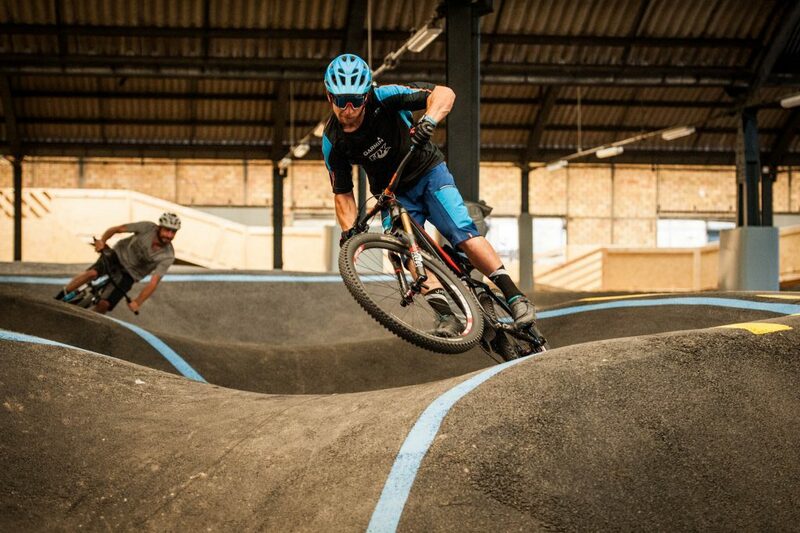 On this unusual site we’ve created a fully asphalt pumptrack! 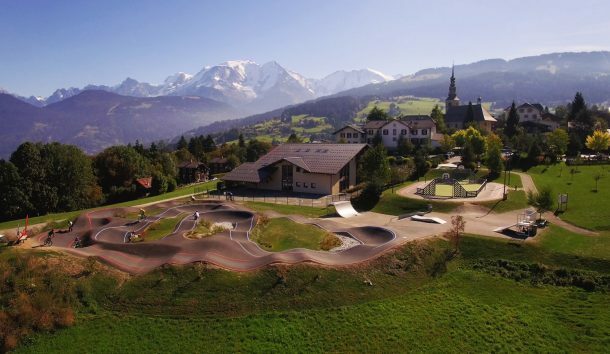 It’s made up of three loops of different levels, alternating gentle bumps, big jumps and banked corners, with the integration of a transparent steel wall-ride, the only one in the world! The icing on the cake is the fact that it’s the largest indoor asphalt pumptrack in the world ! Recalling the history of this freight storage facility and creating a link between the past and its fun and active regeneration. Design and construction in partnership with Cimes Events. All of the wooden modules have been made by the Stride team. 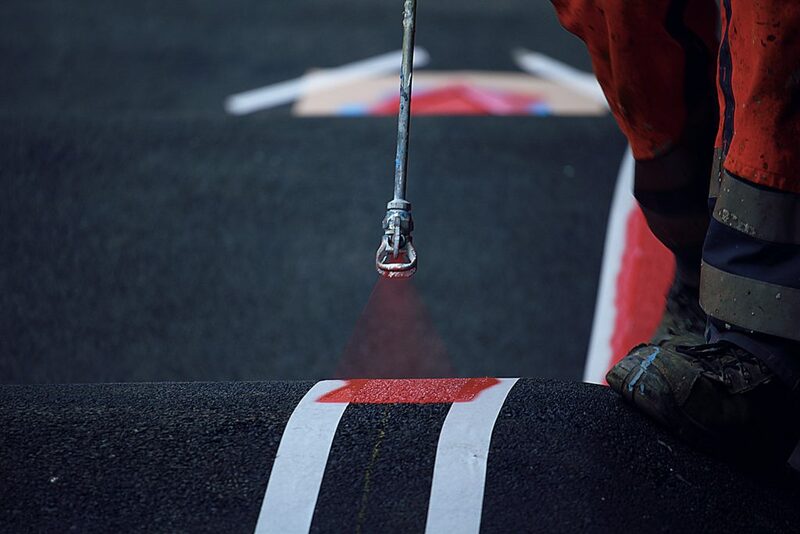 For the very first time, we painted coloured lines to show the level of difficulty. 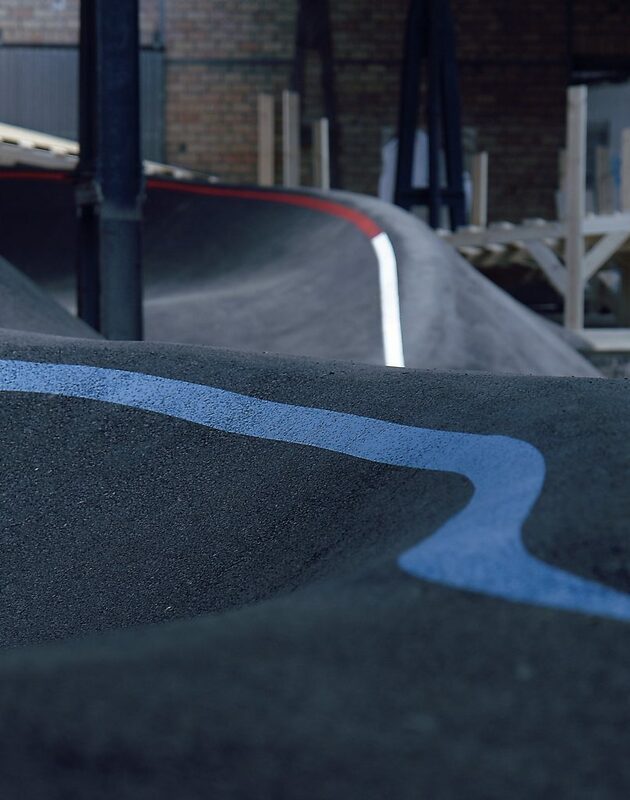 In addition to the aim of informing riders, these coloured lines enhance the aesthetics of the pumptrack and guide them on their trajectory. 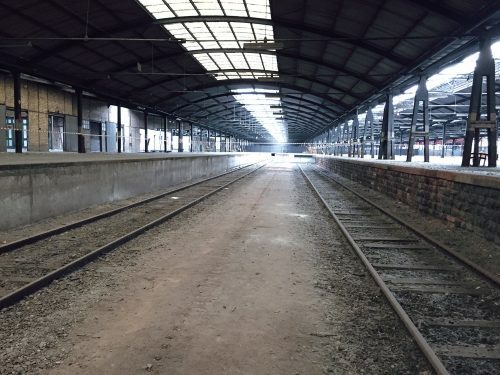 The old platforms were very inspiring during the design phase. To create this huge pumptrack we had to bring in 2500 tonnes of earth with 160 lorry trips, all between the arches and beams! A few centimetres less and the project would never have been accomplished ! The blue loop is designed for beginner riders to enjoy. 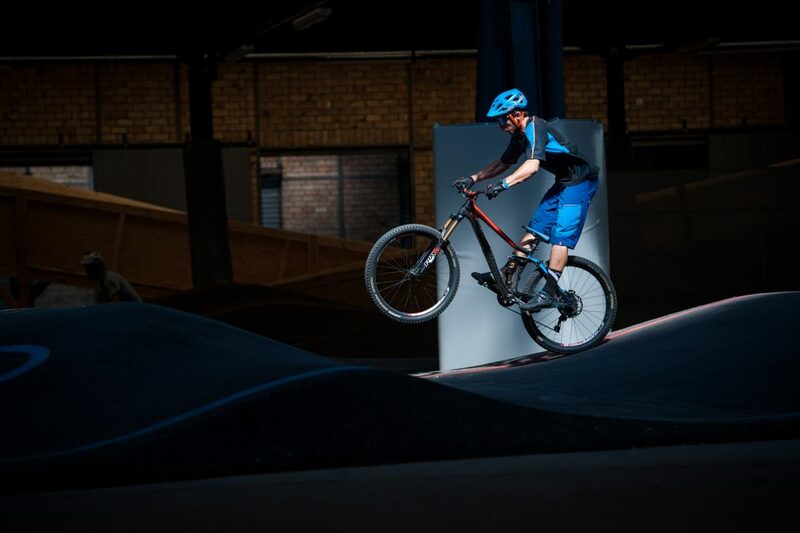 With its two variants and various possible transfers, they’re also fantastic for experienced riders ! 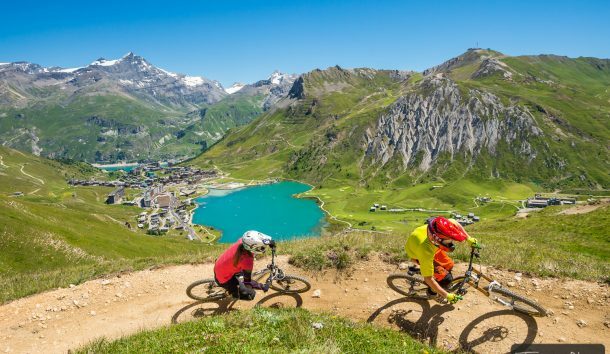 The red trail is designed for those who love taking to the air! You can jump on its numerous double-bumps. 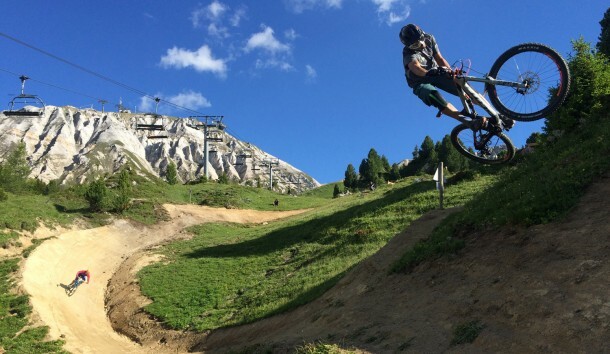 The transparent metal wall-ride offers us a fantastic banked corner for guaranteed thrills ! 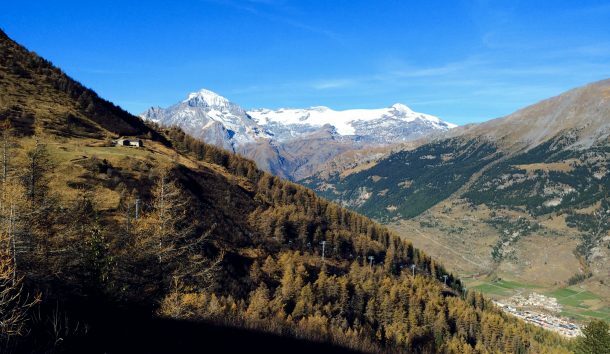 Même avec un bon niveau, on peut s’éclater sur la boucle bleue! L’ensemble des modules bois ont été réalisés par l’équipe du Stride.